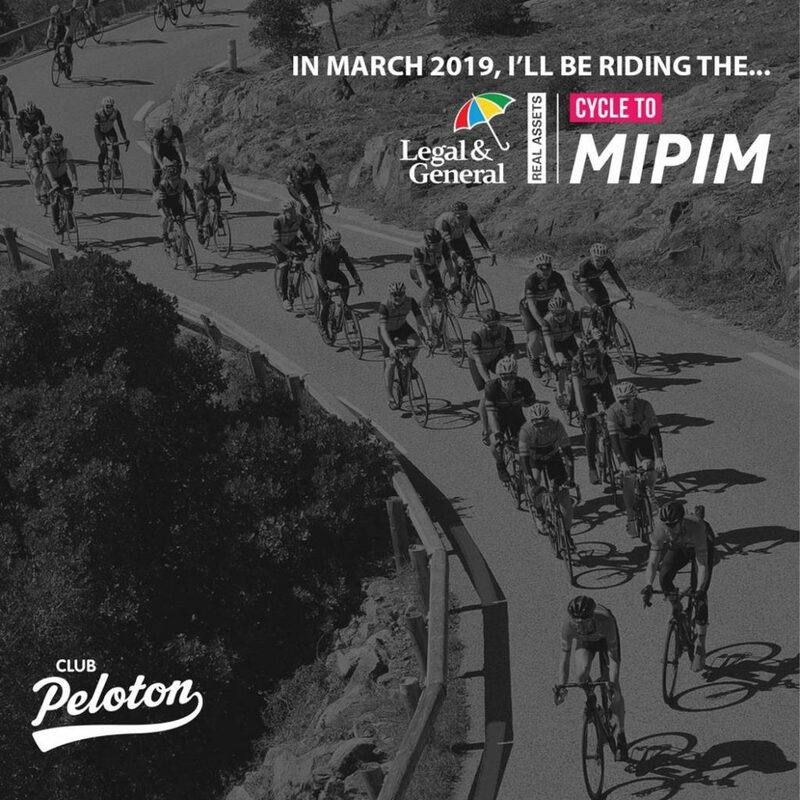 This March, H&P Director Tom Wynne will be joining other industry professionals in raising money for Coram, a leading UK Children’s Charity whilst taking part in the 2019 Cycle to MIPIM challenge. Cycle to MIPIM is a gruelling endurance charity bike ride, open to cyclists of all abilities. The event covers 1,500km in only six days, on a route that takes riders from London to the international retail estate show, MIPIM, in Cannes. Over 200 professionals from the property industry ride in a relay format, completing a minimum of two 60km stages each day. This year the ride will take start in Greenwich on the 7th March. From there, riders will weave their way through the UK and France, broken only by a channel crossing at either Portsmouth or Folkstone, reaching the finish line in Cannes on the 12th March. Since purchasing his first road bike in 2008 Tom has been a keen social cyclist and has always enjoyed challenging himself on the bike. He has undertaken a number of challenges in the past, riding the Olympic route, cycling from London to Brighton, and a 24 hour relay event in Newport Velodrome; but has yet to complete a ride of this magnitude. Aside from the unforgettable experience, there is a more serious side to the event. This year the main grant recipient is Coram. Coram is the UK’s first and oldest children’s charity, and has been supporting vulnerable children for over 275 years. Their flagship service, Coram Adoption, is the most successful voluntary adoption agency in the UK, finding loving and secure homes for some of the most disadvantaged and hard-to-place children in the country. They now help more than 1.25 million children and young people every year, and this would not be possible without the generosity of the supporters of this challenge.